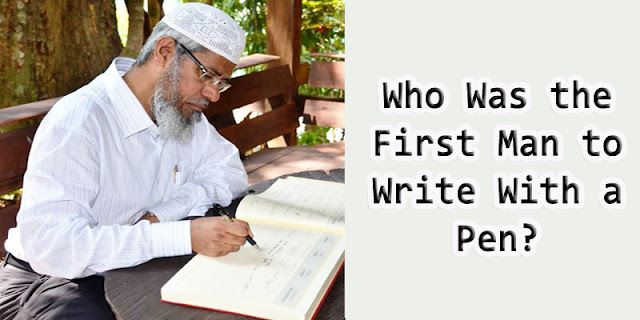 Home / islam / Who Was the First Man to Write With a Pen? Who Was the First Man to Write With a Pen? Allah has praised Idrees (alaiyhis salaam) - Enoch, describing him as being a prophet and truthful. He is mentioned in the Qur'an:"Verily! He was a man of truth (and) a prophet. We raised him to a high station. (Ch 19:56-57 Quran). Idrees (peace be upon him) -Enoch was born and raised in Babylon following the teachings and religion of Prophet Adam (pbuh) and his son Sheeth (pbuh). Idrees(peace be upon him) was the 5th generation of the Prophet Adam (pbuh). He was the contemporary of Aadam (pbuh) for 308 years and was the first to be made a prophet after him and Prophet Sheeth (pbuh). He called the people back to his forefathers religion, but only a few listened to him, while the majority turned away. Prophet Idrees(peace be upon him) and his followers left Babylon for Egypt. There he carried on his mission, calling people to what is just and fair, teaching them certain prayers and instructing them to fast on certain days and to give a portion of their wealth to the poor. It is reported that he was the 1st to invent the basic form of writing. Ibn Ishaq has mentioned that he was the first man to write with a pen.